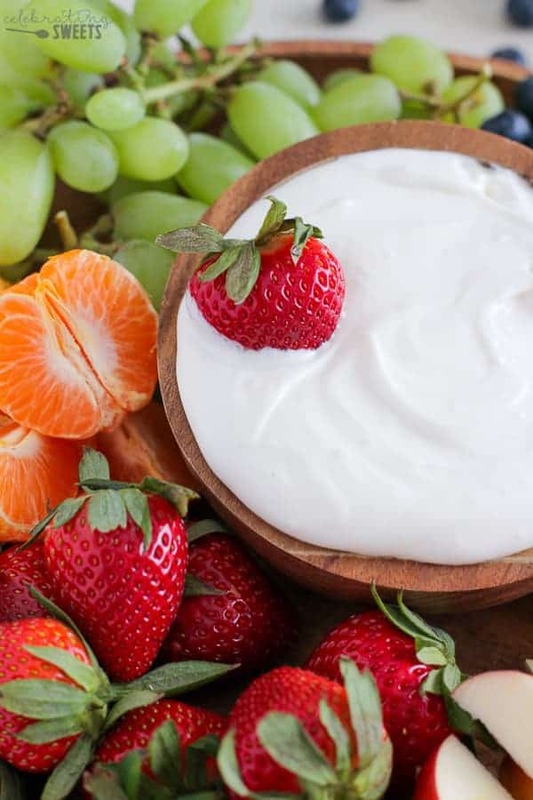 Cream Cheese Fruit Dip – Light and creamy honey vanilla fruit dip. An easy 4-ingredient recipe that everyone loves! As the weather begins warming up, I am reminded that swimsuit/shorts/tank-top weather will be upon us shortly (cue screaming). That means I need to start eating a little lighter and maybe reducing the number of pies and cookies that are consumed on a regular basis. I have been trying to eat fruit as dessert (not nearly as fun as ice cream, but, whatever), and I decided it was time to mix things up a little. 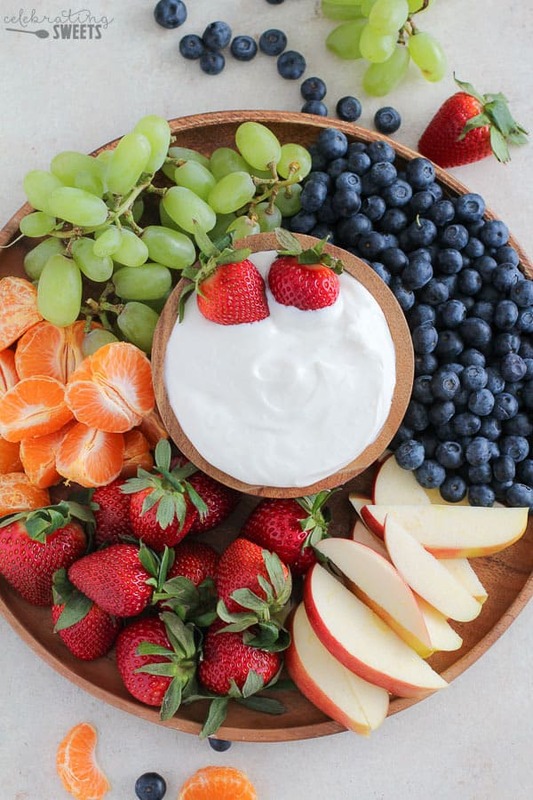 Fresh fruit with Cream Cheese Fruit Dip is a match made in heaven! This dip is made with cream cheese, vanilla Greek yogurt, honey and vanilla extract. It’s tangy, thick, creamy and perfectly sweet. Oh, and the best news? This dip is quite a bit healthier than most fruit dips. Woohoo! 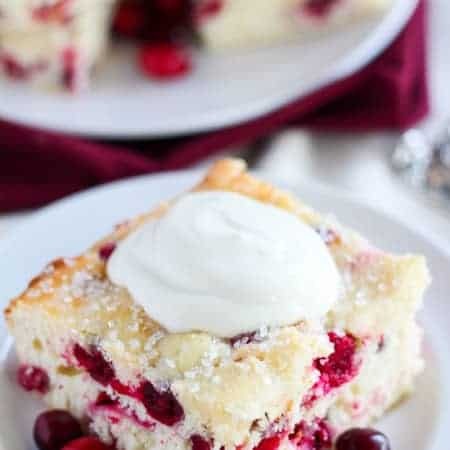 Simply use a hand mixer or stand mixer to beat all ingredients until light and fluffy. 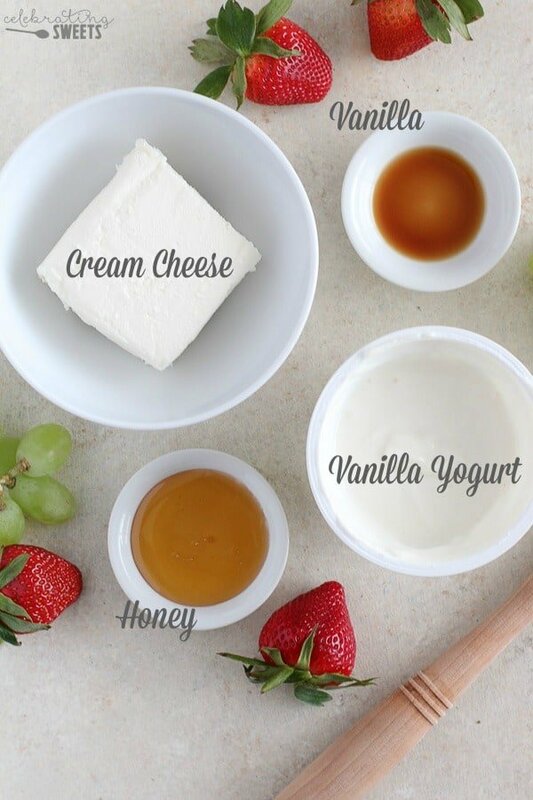 You can easily adjust the flavor by adding more honey to make it sweeter, or more yogurt to make it tangy. My family likes it exactly as written. The perfect combo of sweet, creamy and tangy. Most cream cheese dips usually involve marshmallow cream, cool whip or instant pudding. Those versions are all delicious, but I wanted something a little lighter (reminder: bathing suit season). I left out the corn syrup, artificial colors, and hydrogenated oils that are in many fruit dips, and I threw together this delicious recipe using only 4 real ingredients. You won’t miss all that yucky stuff, I promise. The great thing about making this from scratch is that you can adapt it to your tastes. Want it sweeter? Add a little more honey. Love vanilla? Add an extra splash. You could even swap the vanilla yogurt for a flavored variety (coconut would be amazing!). 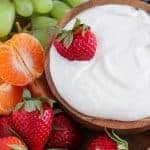 There are so many upcoming occasions that are perfect for serving this Cream Cheese Fruit Dip: Easter, Mother’s Day, spring picnics, summers BBQ’s. It can be an appetizer, a dessert, or even part of the main course. You don’t have to wait for a special occasion. Keep a container of this dip in the fridge and pull it out whenever you’re craving something sweet. Guilt free treats? Yes, please! Cream Cheese Fruit Dip - Light and creamy honey vanilla fruit dip. 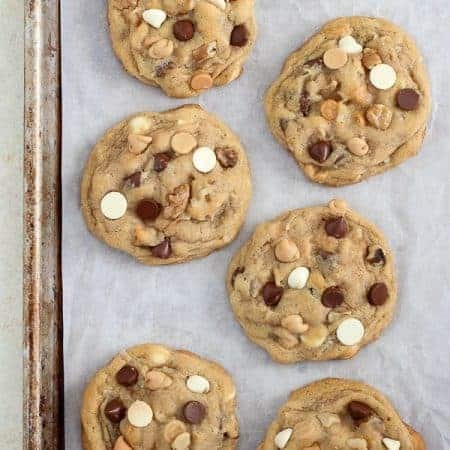 An easy 4-ingredient recipe that everyone loves! 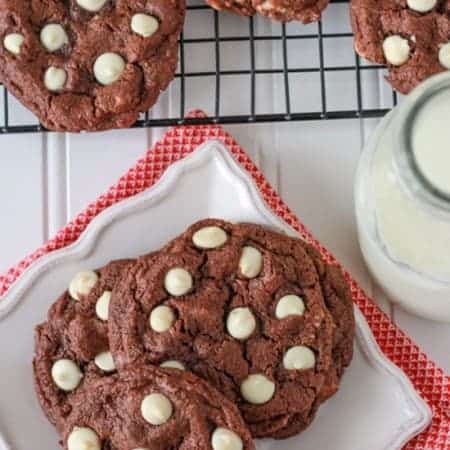 Using a hand mixer or stand mixer, beat all ingredients for several minutes, until smooth and creamy. Taste and add more honey, if desired. Refrigerate until ready to serve. Serve with fresh fruit, graham crackers, or cookies for dipping. Fruit dips are the BEST and I love that this is a lighter version. I’m just envisioning myself enjoying it while sitting by the pool on a sweltering summer day. Soon!! This the perfect dip for fruit! Thank you for the recipe!